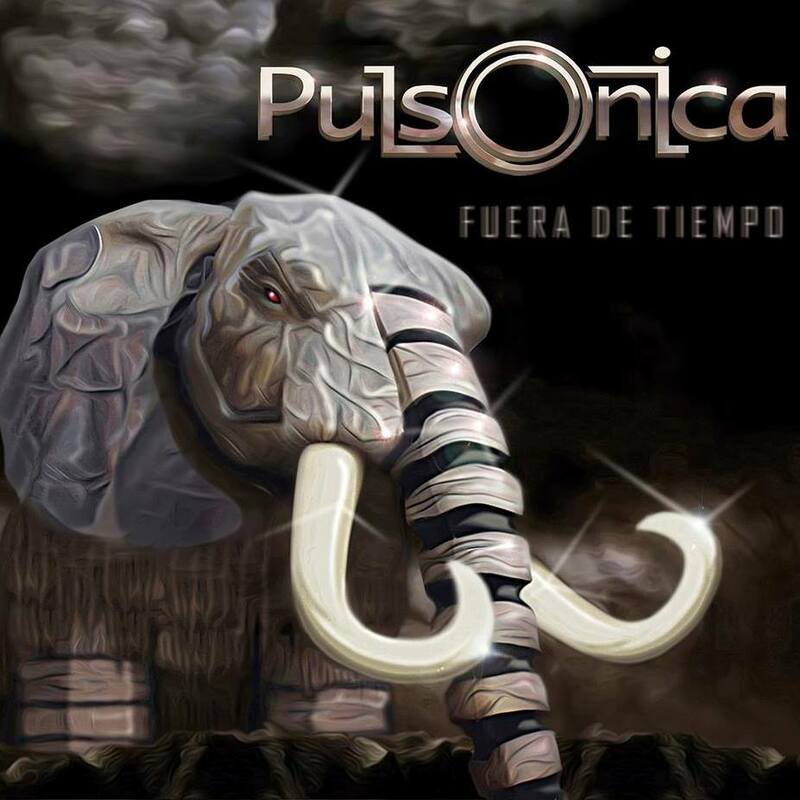 Argentine progressive rock band Pulsonica has been active since 2007, and ever since then this quartet (which originally worked as a trio), released three studio albums and a DVD. Their most recent album is called “Fuera De Tiempo“, and the founder of the band, drummer Jorge Gonzalez talked for Rocking Charts about it and some other topics. How did you go about forming the band? When I wrote the first music pieces for this project, I asked Carolina Cohen (percussionist) and Marcelo Tubio (guitar player) to make a proof and to play them at the studio. The result was quite good, so we decided to move forward. I have worked previously with all the Pulsonica´s musicians in other projects, so I called them because I knew about their ductility, creativity, but chose them mainly for their humanity. Initially Pulsonica was a trio, but some time later it became a quartet with the inclusion of Julian Cusmano (bass player). You use traditional afro latin rhythms in your music which bring a big difference to the progressive rock sound. How do you manage to do that? It´s not easy because we give to the percussion a protagonist work, combining intricate rhythms with the power of the rock guitar. We have to be careful with the low sound frequencies, the percussion instruments use a lot of them, and interact directly with the drum set and the bass line. You have to give the music just what it needs, not to overcharge it. Usually the term “Less is more” fits perfect to our latin progressive grooves. Who is to “blame” in the band for adding those rhythms? During several years I played afro latin music with percussion ensembles and simultaneously rock music with different artists, always had the curiosity to make a fusion with the progressive rock style, my favorite one. We have many influences, but if I have to blame someone, I would have to talk about Carlos Santana. I used to hear his bands since I was a kid, always astonished by their percussion sets. Is there any new material Pulsonica is working on, at the moment? Yes, we are working actually on new material, even though the proposal is the same, we always try to incorporate new elements to make it interesting for our public. Both Tribaloide’s and Fuera de Tiempo’s artworks really took my attention. Who designed them and how they fit your visions about the material on them? I am the art designer, and love to do this work, so I talk with my companions about their visions about the music, then I present some options, we choose one, and start working on it. Do your songs reflect some parts of your personalities? Absolutely, I think this always happens when you work in a noncommercial project. Don’t you find it hard to express the feelings by only using instruments? When a person makes music from the heart, this does not mean an effort, becomes natural. You say who you are, what you feel and which are your roots using your instrument. What are you guys doing except Pulsonica? We are all music teachers, and also work with different local artists. Do you like to play live? Are there any gigs of Pulsonica these days? We love it, our next show will take place at “Perfodrummer Festival” in Buenos Aires, Argentina, May 15, sharing with great musicians from South America. We are also invited to perform at La Plata Prog Festival and Baires Prog Fest this year. Will there be a European tour of Pulsonica? It is a possibility we are working on, and we hope can be realized soon. To see what is Pulsonica up to, like them on Facebook or give a listen to them on Bandcamp.